Troyer Contracting is a full-service provider of commercial roofing and waterproofing services. With experience dating back to 1965, along with the industry’s highest trained professionals, Troyer Contracting has a proven track record of success of getting the job done right the first time. Troyer Contracting continues to provide services from new and rebuilt hospitals, office buildings, manufacturing facilities, government buildings, amusement parks, universities, stadiums, skyscrapers, museums, to elementary schools, parking structures, high-rise residential, restaurants, mixed-use projects and most types of structures seeking the ultimate in quality, craftsmanship and cost-effectiveness. Troyer Contracting takes pride in the ability to tackle some of the area’s most difficult and intricate projects. This Q Award winning project boasts a multi-million dollar ceiling protected by a multi-level roof structure. Troyer was called upon to provide roofing and waterproofing that ultimately protects a multi-million dollar German pipe organ. 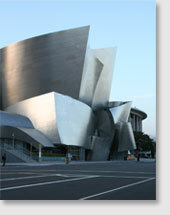 This is only one of the many Class A structures in Troyer’s portfolio of projects. Waterproofing is a critical and necessary aspect of any structure. As the structure is subjected to the earth’s natural moisture, the building and its contents can begin to experience damage. Therefore, expert waterproofing is essential in protecting structures and their foundations. 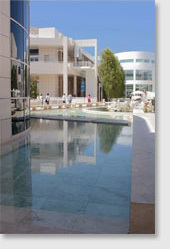 The builder of the Getty Center chose Troyer Contracting as the waterproofing “protector” of their world-class structures. This particular project necessitated over 500,000 square feet of below-grade, behind stone cladding waterproofing and continued through the roofing system. Troyer’s roofing and waterproofing services included fountains, terrace decks, patios, landscape zones, foundation walls and roofing systems. 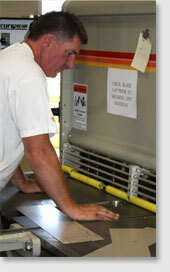 Sheet metal is another important and integral aspect of roofing. Troyer Contracting maintains its own in-house sheet metal shop to create copings, sill flashings, counter flashings and any other flashing needed to maintain moisture resistance. This allows Troyer’s expert craftsmen the ability to conform roofing and waterproofing systems to the structure’s design and function. When the sheet metal is provided by Troyer Contracting, the workmanship and materials are covered by roofing and waterproofing warranties. 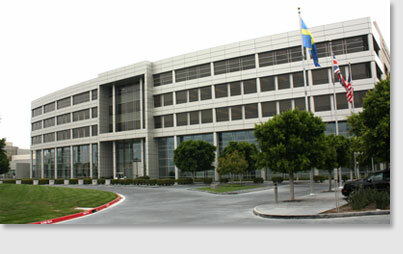 This Orange County landmark, known as Premier Auto, is one of Ford Motor Company's Design Centers. Troyer Contracting provided a fluid applied elastomeric "cool roof" on the office tower and a vegetated Green Roof over the the Design Center.